MIX the cup of water with the three cups of lemon juice and sugar. 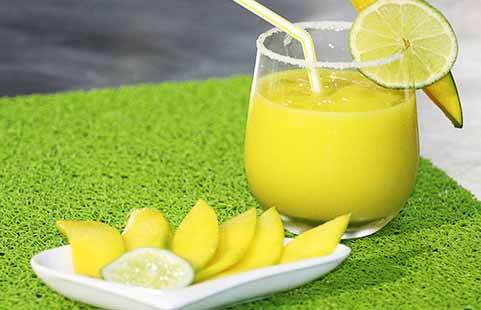 ADD the slices of mango and BLEND with the three cups of ice in the blender. SERVE immediately and garnish with a slice of lemon and a slice of mango.